The Catholic Hack! Episode No 50 – Rosary Army Part 1 – Joe McClane | Catholic: Author, Speaker, Evangelist & More! Greg and Jennifer Willits are the founders of Rosary Army (www.RosaryArmy.com), a 501(c)3 non-profit Catholic apostolate dedicated to making, praying, and giving away all-twine knotted Rosaries and encouraging others to do the same. 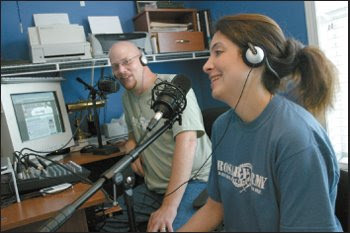 Since incorporating on Good Friday 2003, Rosary Army has reached a worldwide audience of both Catholics and non-Catholics alike through their dynamic website content and award-winning audio podcasts. The Catholic Hack! Episode No 49 – What the Rock is cooking! Excellent interview!! Greg & Jennifer rock!! All 3 of you did a great job of interweaving stories & conversation (or is that conversion?). Josh, I am curious– how many Catholic podcasts do you estimate are out there? It seems like everyone in the podcast world seems to know each other. 🙂 God bless!